Two-time All Star Shawn Green was a lanky, left-handed hitter from Southern California who turned his early career disappointment playing with the Toronto Blue Jays inward and became one of baseball’s premier sluggers during a 14-year career in which he played without performance enhancers. Mr. Green finished his career with 328 home runs, 1,071 RBI, and a career batting average of .282. 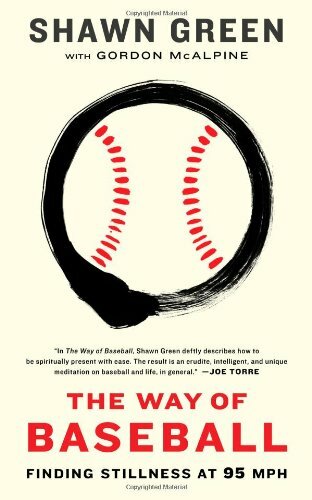 He played on four teams throughout his career— Toronto Blue Jays, Los Angeles Dodgers, Arizona Diamondbacks, and New York Mets—and in the process became known as a ferocious slugger who, unbeknownst to most until now, took the spiritual level of baseball to a zen-like zone when it came to hitting. When Mr. Green was “firing on all cylinders” in the game, he was devoid of the stereotypical ego that engulfs so many athletes in today’s world of professional sports. Instead, he focused, through dedicated adherence to a routine that included daily work hitting from a tee underneath the stands, on the attainment of solace and stillness even when a ball was traveling at 95 miles per hour. His mantra was developed through frustration but soon became an integral part of his baseball and personal life. Living in the present became his ambition, his transcendence into a feared Big League hitter capable of “going yard” whenever he stepped into the batter’s box. The Way of Baseball captures the spirit of player Green in a way not many professional athletes would have the guts to describe in this day and age of instant fame, celebrity and gross overabundance of exposure. Though not long (224 pages), the story of his ascendance into Major League Baseball superstardom, and how he coped with it, gives readers an inside look into one professional athlete’s life—on and off the ball field—with crisp, clear vision. Shawn Green takes us through the mental process with the singular clarity that once allowed him to go 6x6 with four home runs in one game. Though retired for nearly four years, Mr. Green just hit another homer.